Last week, my family and I made the long trek to Lubbock, Texas, for a doctor’s appointment. I know that to some of the people reading this, Lubbock may not sound like a very exciting or large town, but it’s substantially larger than where we live. The most important thing about larger cities, obviously, is the greater selection of restaurants. Seriously, restaurants are my #1 favorite reason to travel. So while we were in the great state of Texas, my husband wanted to show me this new restaurant he had tried, and was raving about. The restaurant is called Chuys, and I believe they have chains in quite a few places in the south… none of which are in New Mexico. Chuy’s is a Mexican restaurant (I guess they call themselves TexMex), and I admit, I am usually a little apprehensive about eating anything that is branded as TexMex. I’m a native New Mexican, after all, and we take our Mexican food very seriously around here. I have to admit, I was pleasantly surprised! The restaurant has an unusual decor, from its metal palm trees, to the old-fashioned photographs hanging on the walls. Their wait staff was very friendly and attentive, and they even have a little nook, where you can watch a lady making fresh tortillas. My husband ordered the stuffed avocado, and I opted for the fajitas. Both were great dishes, and my daughter even ate 2/3rds of her kiddie hamburger, which is way more than she usually eats. Of everything I ate, I have to say their jalapeno ranch dressing was my favorite. My husband ordered the jalapeno ranch dressing at the beginning of the meal, to go with our chips and salsa. And yeah, it is kind of weird to eat tortilla chips with ranch dressing, but I think they’re really onto something here. It was sooo good. The jalapeno ranch dressing was finely blended, so there were no large chunks of jalapenos to be found, but it added a nice element of spice to the dressing. 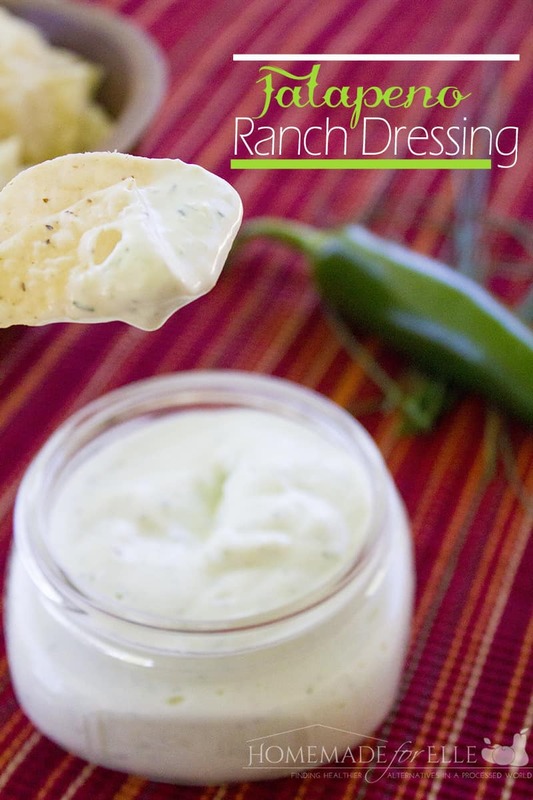 The dressing wasn’t as thick as a traditional ranch either, which made it a fine chip companion. As with all great recipes I try when I eat out, I wanted to recreate this wonderful feast at home, since I can’t drive to Texas every time I get a craving. And as with all of my homemade re-creation, I wanted to share it with you guys! Without further adieu, here it is. 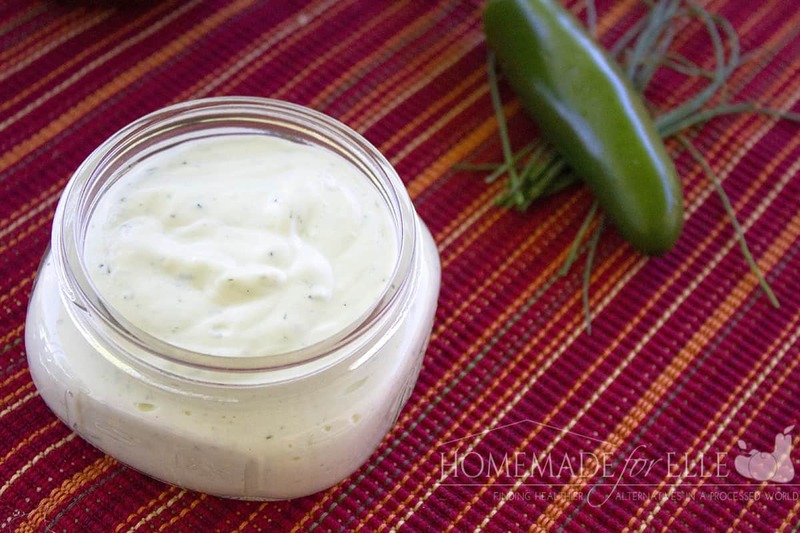 Homemade jalapeno ranch dressing. Combine all ingredients in a food processor, and blend well, until smooth. This makes 2 cups of dressing, which you can use to dip tortilla chips in, pour over a salad, or toss with some freshly steamed veggies. Enjoy!